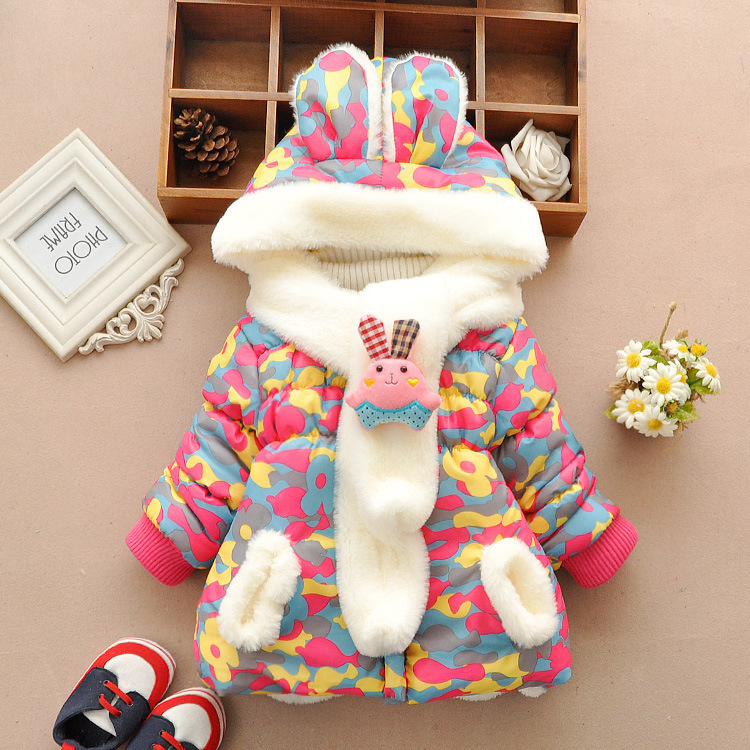 Keep your little bunny warm through the winter. 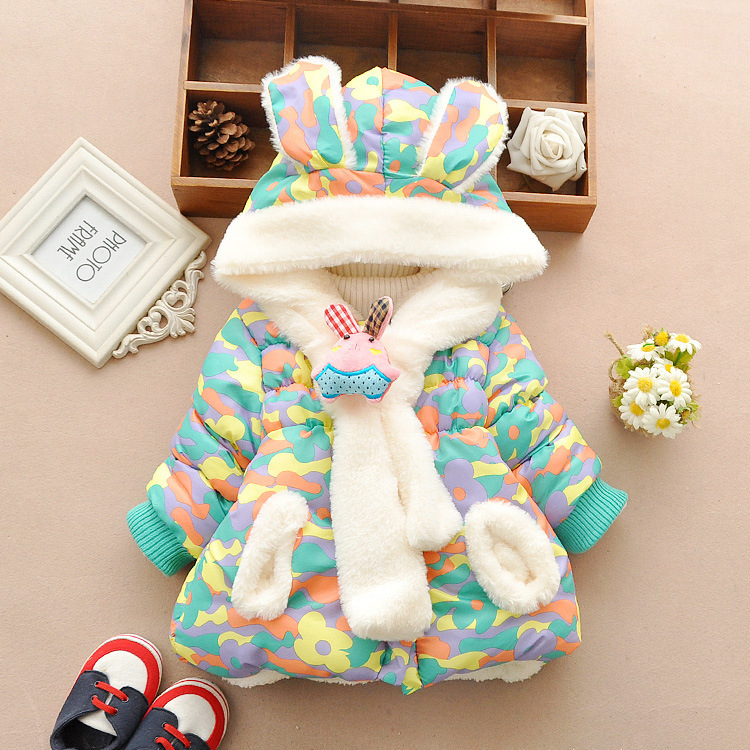 This floral baby girl rabbit coat is finished with adorable fleece trim and bunny ears. 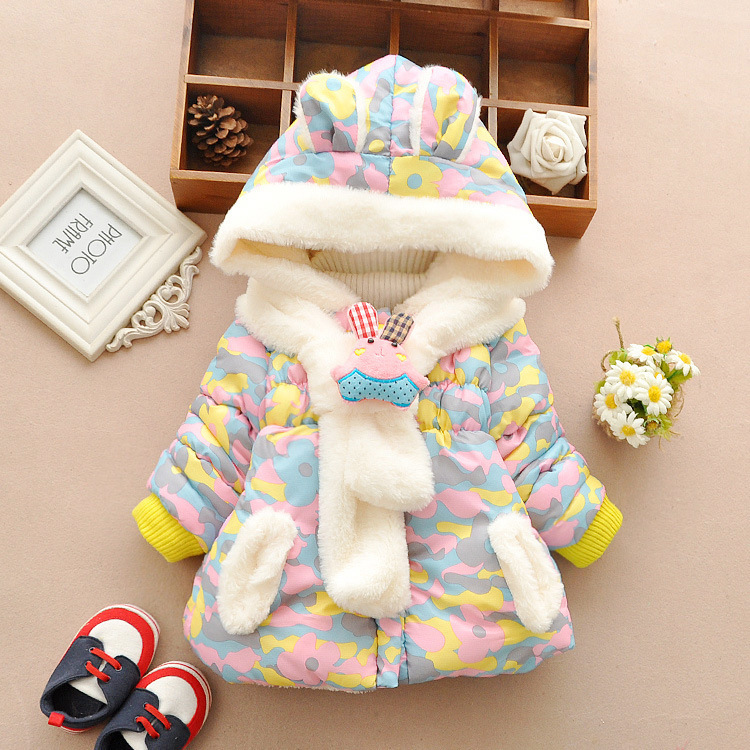 Made from cozy cotton, your baby girl will feel toasty in this jacket.